How many kilometers can you ride this November? Open every month, our mileage training series is there when you need an extra challenge. Whether you start the Challenge on November 1st or join in the last week, set yourself a distance goal and and make it happen! To keep you motivated along the way, there are five milestone achievement badges to be earned. They start at 250 km and go all the way up to 1,250 km. Athletes that take part in this Challenge will receive the gift of fitness (and potentially some digital milestone badges). 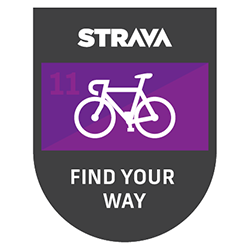 All activities logged during the Challenge period must be uploaded to Strava no later than December 3rd, 2013. Learn more about the Monthly Training Series Challenges.